Admire Mr. Bond’s advanced equipment in 007? 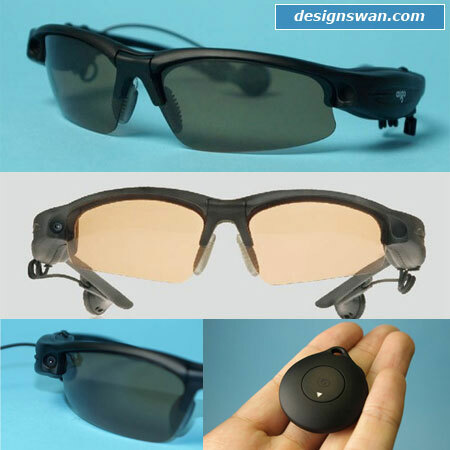 Check this post, you might find some interesting spy gadgets installed on daily stuff, like shirt, belt, sun-glass, belt and ect,. I am not sure the recording quality of those gadgets, and maybe they are annoying products for someone. But I bet they are great toys/gifts for those geeks. It’s what 007 wears on laundry day. 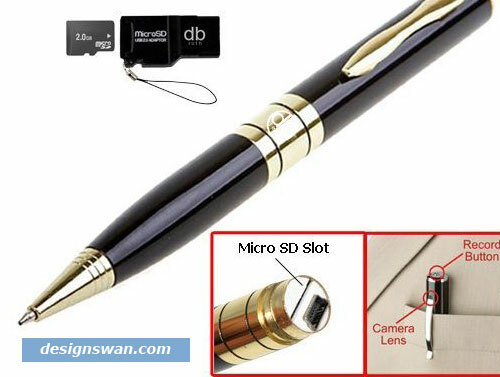 Built-in the smallest micro DVR in the world inside, this pen can never be just used to write smoothly, it is also endowed with the function of recording video and voice. 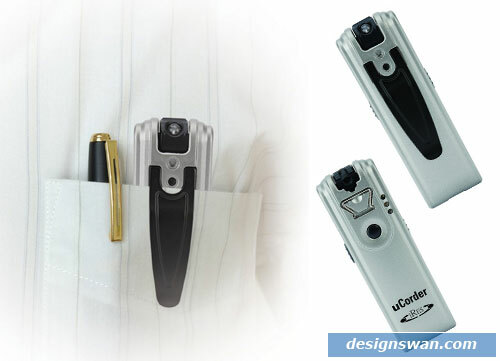 That is, it is the world’s first pen-based video micro DVR with such functions.High sensitivity of the microphone recording the clear voice in the 15 square meters, coupled with high-definition camera effects enable this pen to be a perfect choice while you are studying, listening to a speech and doing business negotiations. 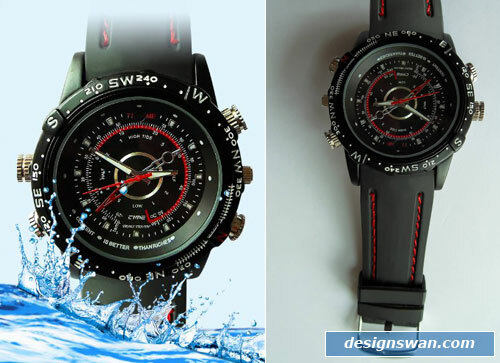 This state of the art watch will get you noticed, but will conceal the built in high resolution spy camera which records video, DVR and sound from 2-3 meters away. With a whopping 4gb of built in memory, you will never run out of recording space. This is a complete surveillance sysytem packed into a watch, and is extremely user friendly. * Support 1gb-4gb memory card. 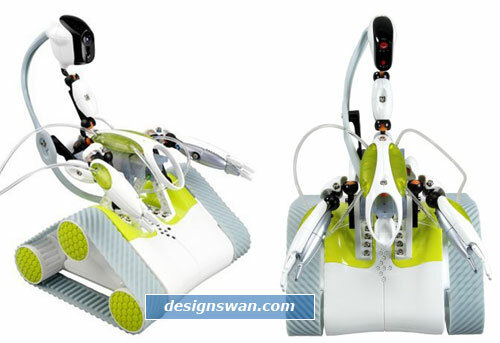 Recommended for ages eight and up, Spykee is far more than your ordinary toy robot. Perfect for audio-visual surveillance, Spykee has the ability to move, watch, speak, and hear. With a built-in video camera and microphone, the robot takes real-time pictures with video and with sound effects. When motion is detected, Spykee activates an alarm or sends a picture by email. Compatible with Skype 3.0 (PC) technology, Spykee can also be used as a VoIP (Voice over Internet Protocol) phone and web camera. Best of all, this motorized robot is equipped with a WiFi card, which means kids can access and control Spykee via the Internet from anywhere in the world. Here you have a beautiful metal constructed 8-LED flashlight with built-in High Definition digital camera with memory expandable to 8gb, has built-in 800mAH lithium battery that can work for hours without being recharged. 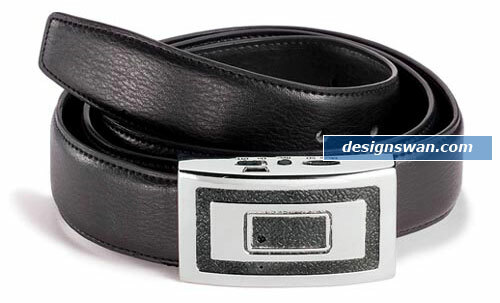 The Minox Belt Camera enables videos to be taken without being noticed. 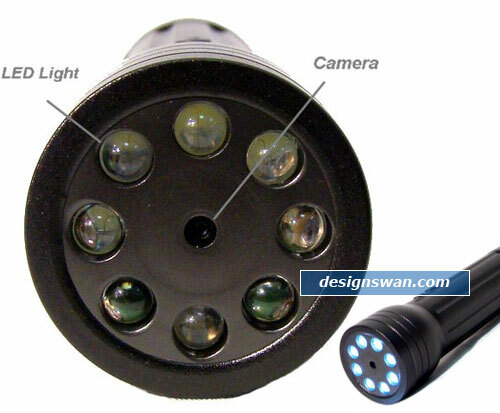 The micro-optics are perfectly concealed on the front of this ingenious camera, allowing undercover surveillance to be recorded inconspicuously in 3GP format. The controls are arranged on the underside of the buckle and are within easy reach. * Support system: Windows98SE/ME/2000XP/Vista/LINUX2.4 above and automatically distinguish operating system. 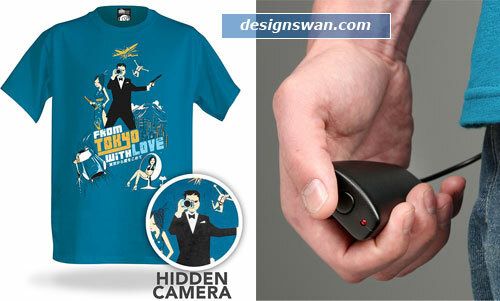 Pin-hold camera penetrated into your Life! 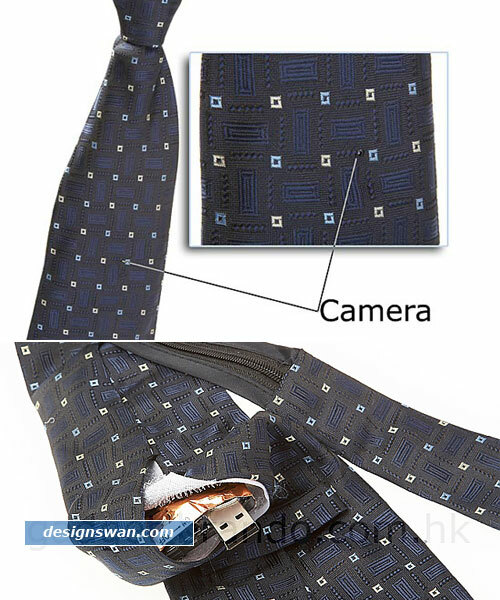 This one now is hidden in the TIE pattern, and you may need to check it carefully to find it out. 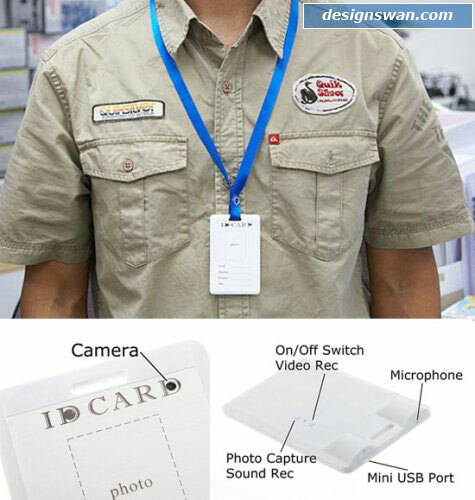 The pin-hold camera can be controlled by a remote, it’s easy to press-and-record and no extra technique is required. This is a Micro camera first in it’s kind. You get a Mini DVR in shape a Generic Lighter. Captures High Resolution Image and Video with Sound. Has built in Sound activation, when sound activation is active it will automatically start capturing when the sound level reaches 65 decibels, it will stop after 3 minutes and save the video, then it will restart if the noise level is reaches 65 decibels. 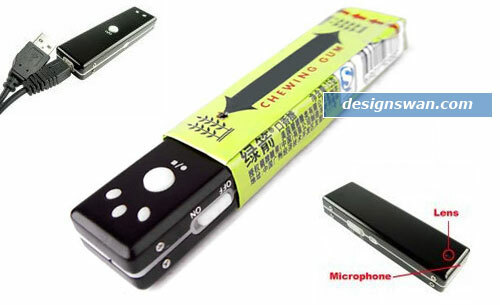 Mini spy camera with audio and video recording, perfectly sized to be put inside a chewing gum wrapper for almost undetectable covert surveillance. Video is recorded on to a 1GB Micro SD card in 3gp format which can record 15 frames per second with 33 hours of recording storage. 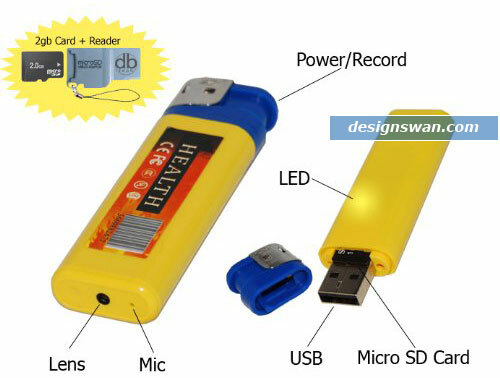 The battery is charged via USB which also allows transfer of video files. 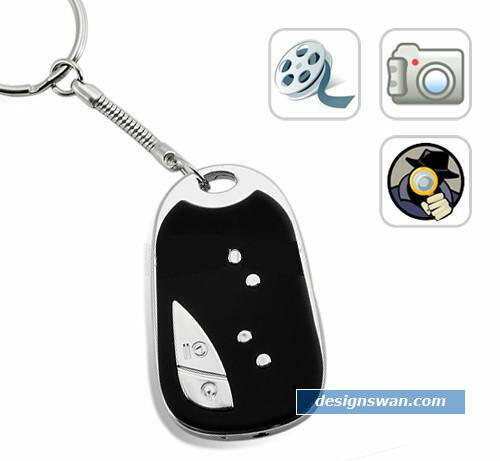 Im interested in your spy cameras products, is there any way we can discuss more through email?